Tempura is ok. Honestly, battered, fried seafood makes me nauseous, though that’s more fish and chips and shrimp you’d have as an appetizer at a American-Chinese restaurant where you’d get ketchup with a little dot of hot mustard in a tiny saucer. 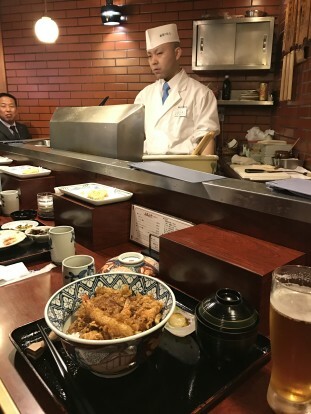 But if you’re in Japan, it would be silly to ignore tempura. Tempura Tsunahachi treats each piece with care, only frying a few pieces at a time and setting them in front of you like precious sushi. 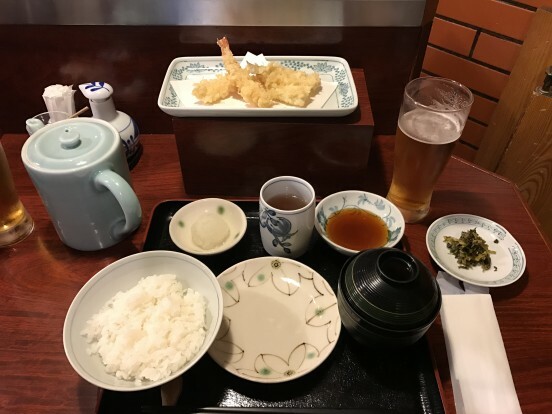 I chose one of the set lunches (roughly $20–dinner is considerably more) where shrimp, fish, lotus root, and other vegetables, three at a time, came with rice, pickles, a mound of grated daikon, and miso soup. I committed the faux pas of pouring soy sauce in my little dish when there was a sauce especially for dipping in the ceramic pitcher (there wasn’t one in arm’s reach at the counter and I thought it contained tea) but in Japan you’ll make mistakes constantly without even knowing it and it’s ok and kind of freeing. This was the other lunch choice, where the tempura came as a bowl on rice at once. 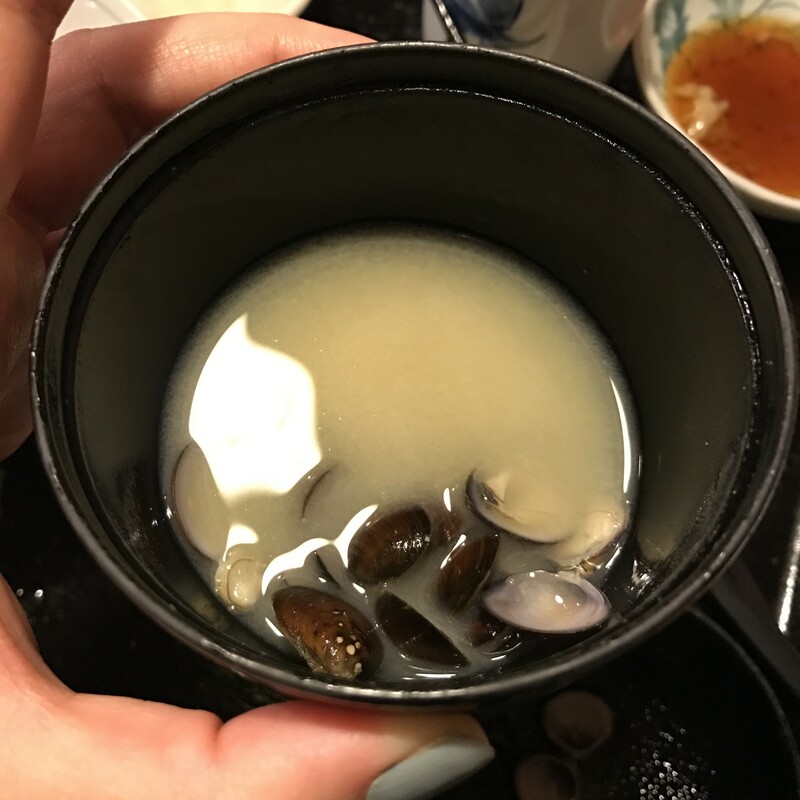 All the miso soup I was served in Tokyo came with a surprise at the end: clams tiny as my fingernails.